There is a myth that America is a land of opportunity. It is difficult to answer unequivocally, whether it is true or not. Nevertheless, no one would dispute the fact that Europeans strived to move to the USA during World War II, millions of people from the Caribbean were rushing to the same place, as well as the inhabitants of African countries are trying to relocate to America. Not everyone can do that; however, those few people who took the risk and scooped a large profit, became an example to follow for millions of other people. Danai Gurira is one of them. It is fair to say that Danai was born in Grinnell, a small town in Iowa (USA) on February 14, 1978. Her parents, Roger Gurira, a chemistry teacher, and his wife Josephine, a librarian, managed to illegally move to America from a small unrecognized state located in southern Africa. 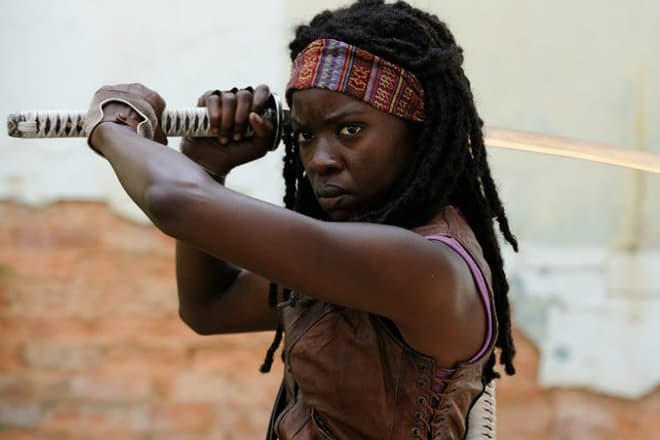 Despite the numerous illegal emigration problems, Danai Jekesai Gurira (her full name) managed to graduate from high school in Grinnell and then enter New York University. As a student, Danai began performing on the theatre stage and even tried her hand at writing plays. Both attempts were successful, and now these spheres bring Gurira income. 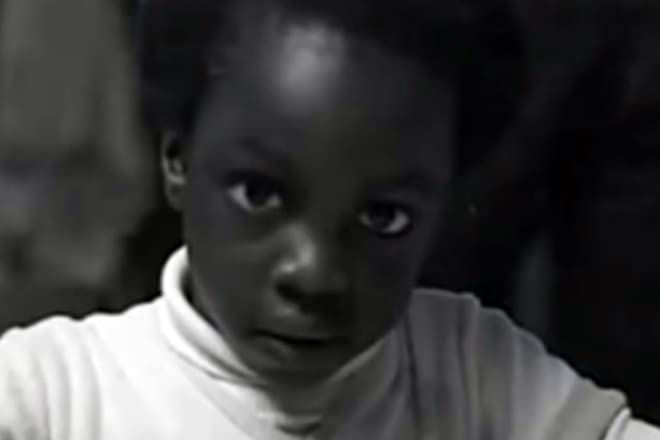 Danai made her screen debut in 2004, playing a bit part in the series American Experience. For the next few years, the actress also periodically appeared in several episodes of Law & Order and other similar procedurals. Gurira made the big screen debut only in 2007 in the drama The Visitor by Tom McCarthy (The Cobbler, Spotlight, 13 Reasons Why), playing the role of an illegal immigrant from Senegal, Zainab. Danai’s partners on the set were Richard Jenkins, Haaz Sleiman, Hiam Abbass, Maggie Moore, and others. In 2008, the actress starred in the fantasy comedy Ghost Town, directed by David Koepp (Stir of Echoes, Secret Window, Premium Rush). The film tells about a misanthropic dentist, who after clinical death began to see ghosts. Ricky Gervais, Greg Kinnear, Téa Leoni, Alan Ruck, Billy Campbell, and others performed the leading roles in Ghost Town. A year later, Gurira, along with Harvey Keitel, Jason O'Mara and Michael Imperioli, starred in the fantasy detective story Life on Mars, an adaptation of the British TV series of the same name. By the way, this is not the only adaptation because, in Russia, Alexander Kott shot The Other Side of the Moon with Pavel Derevyanko in the title role. 2010 was marked by Gurira’s participation in the drama 3 Backyards directed by Eric Mendelsohn (Judy Berlin, Through an Open Window), where Elias Koteas, Kathryn Erbe, Edie Falco, and Rachel Resheff also starred. That year, the actress also starred in the youth horror film My Soul to Take by the master of horror films, Wes Craven (A Nightmare on Elm Street, Scream, The People Under The Stairs). Unfortunately, the film was a box office flop. Later, Danai was lucky to work on the set of the famous psychological thriller series Lie to Me. Tim Roth, Kelli Williams, Brendan Hines, and Monica Raymund performed the leading roles in this series. The next two projects are little-known. These are Andrew Dosumnu’s film Restless City and the series Treme, which tells about the life in New Orleans after Hurricane Katrina. But 2012 has become a turning point in the life of an actress. At that time, she first appeared on the set of The Walking Dead, a cult post-apocalyptic horror series. The film is based on the comic book series of the same name published by Image Comics, which is famous for the movie and the animated series Todd McFarlane's Spawn. The project was directed by Frank Darabont, who became well-known for successful screen versions of Stephen King’s books. Danai got one of the leading roles in the series along with Andrew Lincoln, Jeffrey Dean Morgan, Christian Serratos, Norman Reedus, Lauren Cohan and Jon Bernthal, the star of the TV series The Punisher. At the same time, Gurira took part in other projects. For example, in 2013, the actress starred in the drama Mother of George directed by Andrew Dosumnu. A year later, she took part in the voicing of the Disney cartoon Tinker Bell and the Legend of the NeverBeast along with Ginnifer Goodwin, Mae Whitman, Rosario Dawson, Lucy Liu, and Thomas Lennon. The film was directed by Steve Loter, who previously worked on the animated series The Legend of Tarzan, Kim Possible, and The Adventures of Buzz Lightyear of Star Command. In 2017, Danai starred in the feature film All Eyez on Me, based on the biography of the famous American rapper, Tupac, of the last century. The actress portrayed the mother of the title character. Gurira prefers not to tell about her personal life. She posts photos of film sets and various events on Instagram. It is known for sure that Danai Jekesai is not married and has no children. Her parents moved to Zimbabwe, and Danai often visits them. Nowadays, the actress continues to film in The Walking Dead, and also plays in the film adaptation of the Marvel comics. In 2018, two films with Danai will be released. The first film is Black Panther directed by Ryan Coogler (Fruitvale Station, Creed) with Chadwick Boseman, Michael B. Jordan, Martin Freeman, and Andy Serkis. It will be followed by Avengers: Infinity War directed by Joe and Anthony Russo (You, Me and Dupree, Community, Captain America: The Winter Soldier). This crossover will star Robert Downey Jr., Mark Ruffalo, Scarlett Johansson, Chris Evans, Chris Hemsworth, Chris Pratt, Dave Bautista, and some equally famous artists. 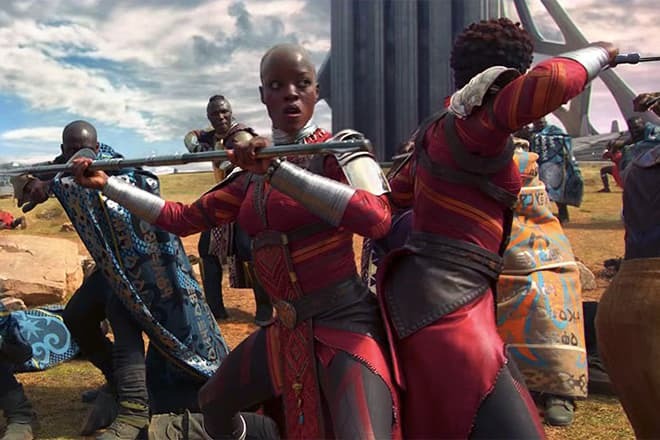 In both films, Gurira will play the role of Okoye, an ally of superhero Black Panther.